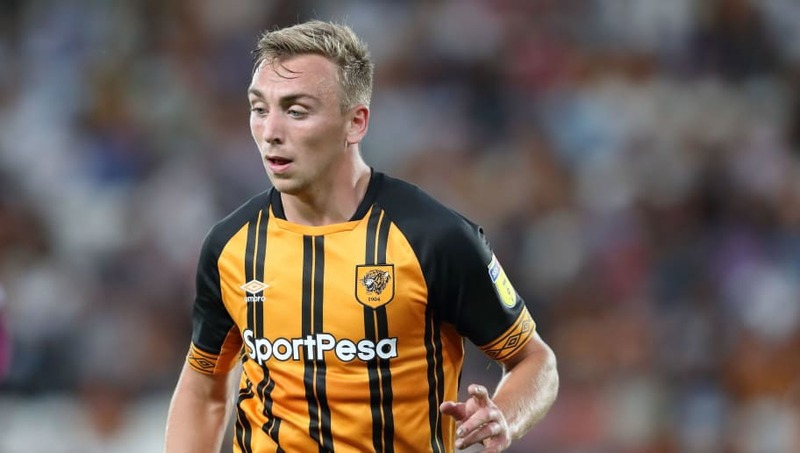 Leicester City are reportedly the latest Premier League club to express their interest in signing Hull City star Jarrod Bowen. Bowen, who is just 22 years of age, has been tracked by both Tottenham and Everton after some stellar performances in the Championship, recently earning the coveted Player of the Month award. Now ​The Sun report that Claude Puel's side have joined the race to sign the £20m-rated midfielder, with the Foxes said to have 'sent scouts' to watch the Englishman during ​Hull's 6-0 demolition against ​Bolton on New Year's Day. Puel is thought to be under pressure at the King Power Stadium despite his side occupying the eighth place in the table. There have been murmurs of discontent from the crowd criticising the Foxes' style of play, however, signing the electric Bowen would go someway to appeasing the restless fans. The 22-year-old has already bagged 13 ​Championship goals from midfield this campaign whilst turning provider on an added three occasions. His stunning form has seen him score nine in his last nine games, inspiring the Tigers to six straight wins which puts them firmly in the hunt for a play-off spot. ​Despite interest from three ​Premier League sides, Hull's vice-chairman Ehab Allam has stated the club have 'no intention' of letting Bowen leave: "Our recent fantastic run of results has given everyone at the club and supporters fresh optimism as we embark on the second half of the season. "To build on this positive momentum on the pitch we have no intention of selling key players. We are currently working closely with Nigel (Adkins) to support him to further enhance our squad," he added.